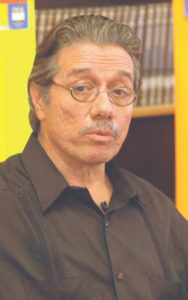 The Directory is published by Latino Literacy Now, a 501c3 nonprofit that has produced 55 Latino Book & Family Festivals since 1997, when it was co-founded by actor Edward James Olmos and Kirk Whisler. Latino Literacy Now also operates the Int’l Latino Book Awards, the largest awards in the world honoring books by and about Latinos, with 1,914 authors and publishers recognized in the past two decades. 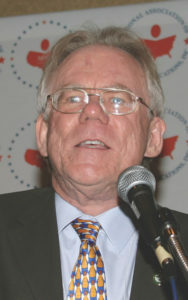 Andres Tobar, former executive director of the National Association of Hispanic Publications and a longtime U.S. Dept. 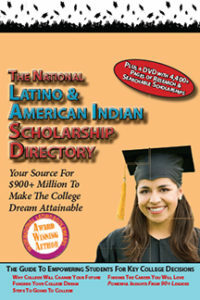 of Education administrator, and Kirk collaborated on nine editions of the Hispanic Scholarship Directory starting in 1997. 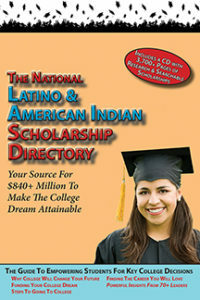 Andres and Kirk then worked together to create the National Latino & American Indian Scholarship Directory, which was first published by WPR Books in 2013. Sponsors have included General Motors, WalMart, Pinnacle Bank, SER Jobs for Progress, LULAC, and Hispanic Association of Colleges & Universities.